October | 2016 | Broomsticked The Life and Times of a Real Witch. I still take my girls trick or treating, then need to spend some serious time with relatives that just passed away myself, then will be doing paid spellwork. After that I’d like to offer one free petition, or message, very short please to your ancestors for assistance , or even just a quick hello I miss you for any recently departed. Please keep them short, just basic requests for assistance from your ancestors on money, health, family quarrels, quiting smoking, love, basic safe travels, basic protection etc. I’m doing this for free, share it with others and help me , help more people! Then you can message me your message or request, please have them to me no later then the 30th. The person who I see participating, liking, sharing the most will be announced a few days early and get a free extra request or message sent. 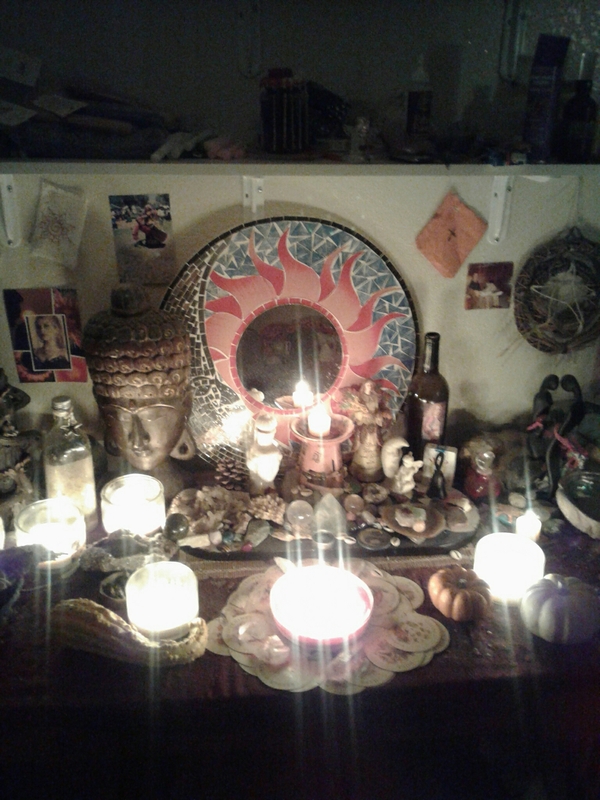 Got my altar all ready let’s go! 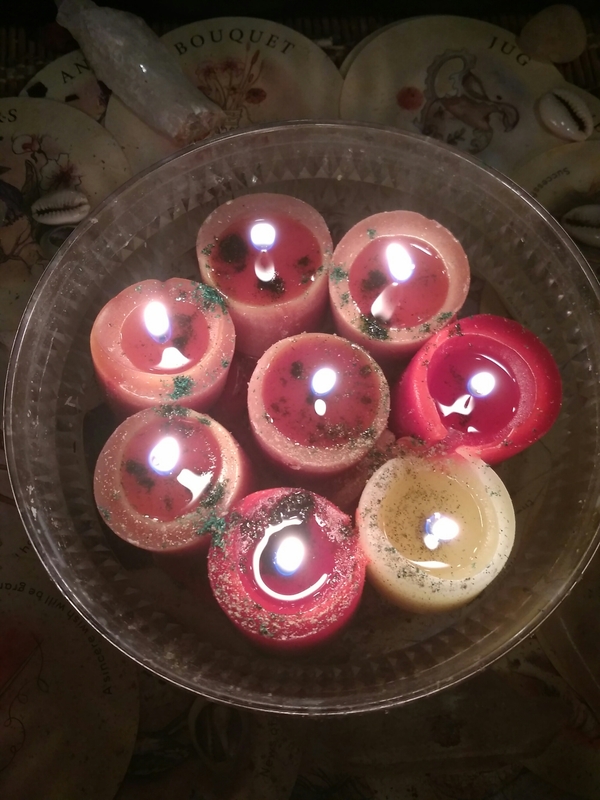 Started the October Layered Spell Candle for Moons and Samhain, Halloween. into the holidays post Halloween and Deep winter, so alot of vibrational raising going on in there. Just a good mix I will continue adding too and growing then burning the bay leaves over during big moons and then finally use in my Samhain/Halloween Ancestorial magick Ritual. Taking pre orders for Full Moon New Moon and Halloween/Samhain spell casting services!